Fluoride is a natural element that has been shown to prevent tooth decay. In many areas, fluoride is added to the water system and research has shown that in those areas, cavities have been reduced 50%. Many children have been cavity-free since the widespread use of fluoridated water. Fluoride works by inhibiting the loss of minerals from the tooth enamel and encourages remineralization, which strengthens the tooth enamel that may be starting to develop a cavity. Fluoride also has an effect on the bacteria that causes cavities, reducing the acid that attacks the enamel of the tooth. 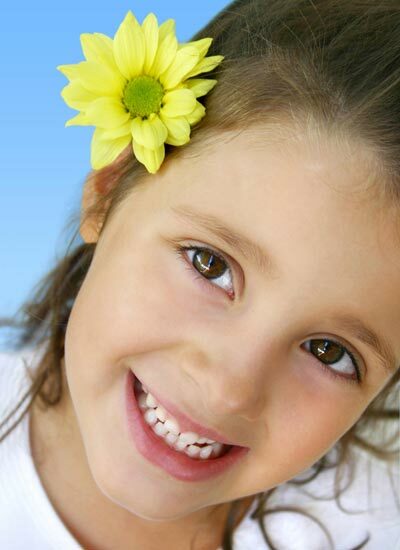 Using fluoride for the control and prevention of cavities in children has been proven safe. However, all products containing fluoride should be stored out of reach of young children. Too much fluoride can cause fluorosis, which appears as white spots on the teeth in mild cases, or in more severe cases appears as brown spots. Dr. Laura and our team will discuss the proper use of fluoride for your child and recommend if additional fluoride treatments or supplements are needed. Please don’t hesitate to ask questions when you’re here or give us a call.